If you’re looking for fun-filled vacations in the deep blue seas, then a cruise is one of the best entertainment solutions available. In addition to all of the activities and pots of call, there is so much to do on a ship; you may never want to leave. One thing that might surprise you if you have never cruised, are that there are casinos at sea. You no longer need to go to Las Vegas to gamble. And once you hit international waters, the casinos will open. To give you an idea of how important gambling is to the cruise lines, just look at how much space they occupy. Some of casinos are more than 10,000 sf and may have more than 200 slot machines and 50 gaming tables including craps, blackjack, baccarat, roulette and more. If you are a gambler (or someone that wants to give it a try) you can enjoy deluxe hospitality while playing or learning your their favorite games. If you are a novice, it pays to practice and bone up on the rules of the game before you pull out your wallet. Remember, the house ALWAYS has the advantage. And it is very easy to be caught up in the excitement, so a single parent needs to be cautious. There are many resources available on the web to explain the rules of the games and the strategies to increase your odds against the house (or so they say). 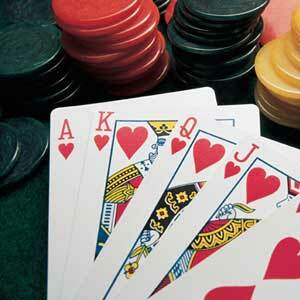 There are also plenty of casino practice sites that allow you to practice prior to betting a piece of last week’s pay. But by all means, be a responsible gambler. The cruise lines have casinos to make money—and they do. Never gamble more than you can afford to lose and you are guaranteed to have a good time. Play smart, get lucky, and you may have some spare cash to boot! As for me? I am not a big gambler and my strategy is to play blackjack (craps is confusing to me) and when I win a hand, I put the winnings in my pocket and not on the table. The concept is sound—take their money and stash it away. My execution leaves a lot to be desired—you also need to know when to hold ‘em and when to fold ‘em.